Lester Pribnow, 78, of Goodview, MN passed away peacefully, surrounded by friends at his home on Sunday, February 3, 2019. Lester was born on January 13, 1941 to Mildred Pribnow, in Newport, MN. Lester was an only child, and had an amazingly close relationship to his loving mother. Lester worked for the Winona DAC for over 20 years, when he decided to retire in 2012. 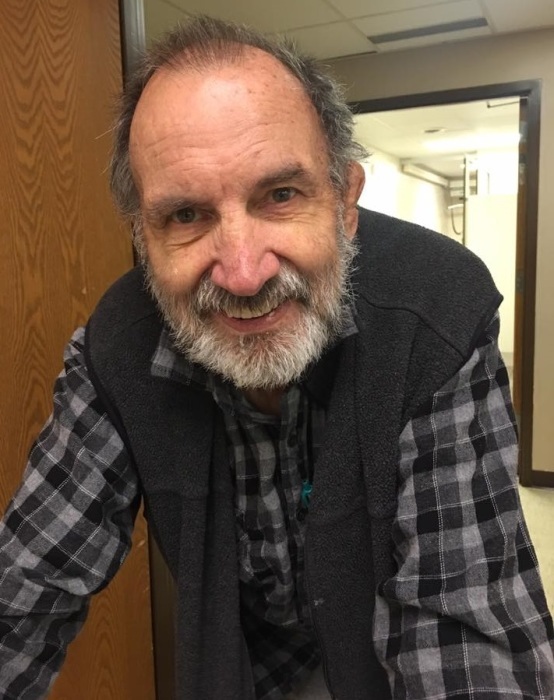 During retirement Lester enjoyed going to mass on Sunday’s, fishing, camping, bowling, playing cards, going to dances and volunteering for the Winona County Humane Society. He had an amazing passion for animals, especially cats and dogs. Lester accomplished his life time dream of going to Disney World, where he enjoyed going on all the rollercoasters he could. At the age of 75, he decided retirement wasn’t for him, and returned to work at the Winona DAC, where he continued to work until a month before his passing. Lester is survived by his Aunt Bernadette Barlow of St Paul, MN. His sense of humor, fun-loving nature and sarcastic playfulness will be missed by many, many friends. He was preceeded in death by his mother and uncle. We would like to give a very special thank you to Heartland Hospice, the REM River Bluffs, Inc. Goodview staff and the staff of the Winona DAC for all of their support and friendship to Lester. A visitation will be held on Monday, February 11 from 5-6pm with a prayer service at 6:00pm at Fawcett Junker Funeral Home, Winona.